Casting directors with Marinella Hume Casting in the Baltimore Maryland area are currently casting paid background actors and extras for new episodes of the political drama “House of Cards.“ Since the Kevin Spacey scandal, the future of the popular Netflix political drama has bee in limbo, but, it seems that production of the show will go on and there are new casting calls out for the month of March 2018 and beyond. According to a recent post on Deadline, Season 6 of “House of Cards” is a go and this season will go on without the show’s main character, Oscar winner, Kevin Spacey. “House of Cards” season 6 began filming this month and production will continue through the winter and spring of 2018. The Deadline story states that Netflix confirmed that its popular political drama House of Cards will have a sixth season. 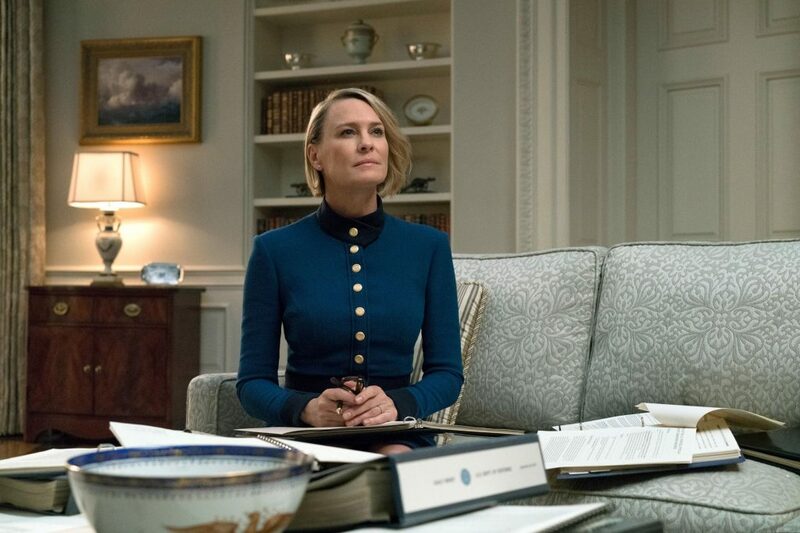 Netflix also stated that the new season will see Robin Wright take the lead. Following the sexual misconduct scandal this past fall, Netflix suspended production at the end of October leaving the future of the popular series in limbo. Spacey remains suspended from the show and current fans of “House of Cards” are anxiously awaiting to see how Spacey’s character, Frank Underwood, meets his end. The show’s new season is filming around the Maryland area and the production is in need of various types for an upcoming episode. MHC is now casting local talent, please see the casting notice below for all the role details and specific dates talent will be working as paid extras. 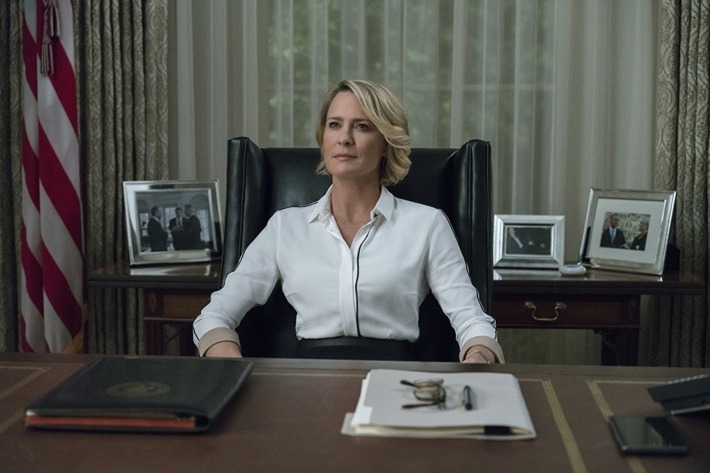 For the show’s first 5 seasons, the show revolved around a scheming politician, Frank Underwood (Kevin Spacey) who schemes and blackmails his way to the political top spot of President. Kevin Spacey’s character, Frank Underwood is joined by his equally conniving wife, played by Robin Wright. 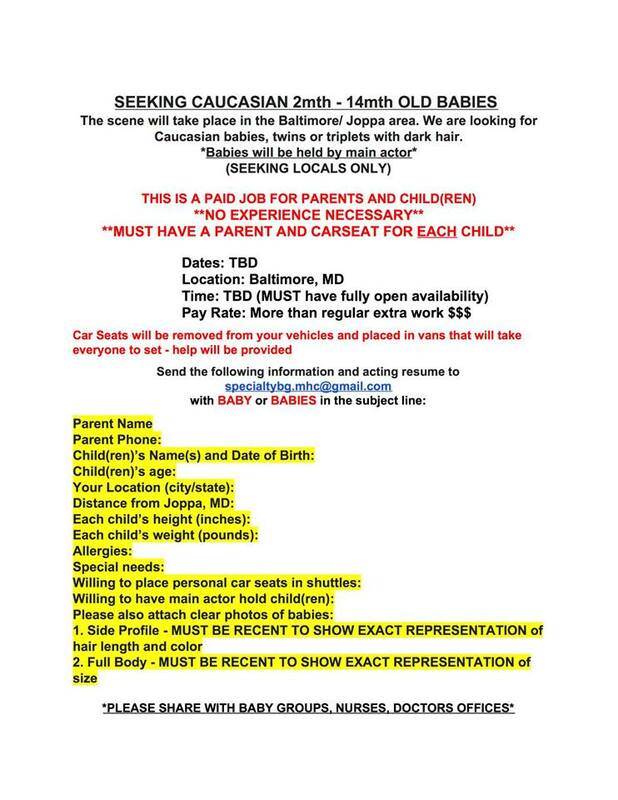 Please note that you must be local to the Baltimore area in order to be considered for any of the roles. Have you worked on the show before & what roles were you cast as? Thanks so much.. Hope y’all are having a great day! I would really love to do some extra work.. Anything needed. Sending all my info… Not a SAG member. Is that needed for extra work? Anything coming up, since I do not have a vehicle for this one <3 Please and Thank You! I live right around the corner and have all qualifications. On the way to the set I was in an accident where my car was totalled. I would like another opportunity to audition. I go to school in DC I would love the opportunity to experience something like this. It might start something new in my life. THANK YOU FOR REFERRING TO THIS BEAUTIFUL SEASON AS THE SIXTH SEASON AND NOT AS THE “FINAL SEASON” THAT WAS TEASED DURING THE OSCARS. HOUSE OF CARDS WILL NOT BE FULLY ACTUALIZED UNTIL 2025. I’M SURE I CAN FILL A ROLE! YOU TELL ME. I live in Delta, Ohio. I could fly out there.